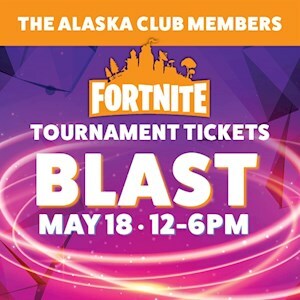 Fortnite Tournament + General Admission: $30 per person The Alaska Club members receive $5 off Play on Xbox One or PlayStation 4 and compete against others in person! 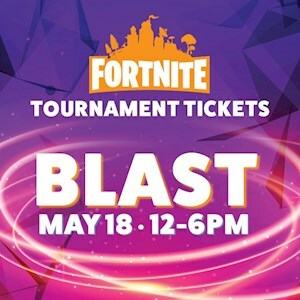 Win prizes, Fortnite swag, gaming gear, game cards, jump passes & more! Food provided for gamers. Pre-registration required for tournament. 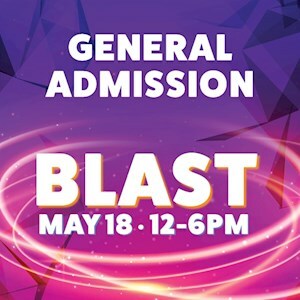 Parents/spectators are FREE! 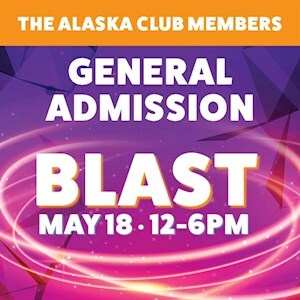 General All-day Admission: $10 per child The Alaska Club members receive $5 off Includes: - Bouncy obstacle course - Life-size Jenga - Giant Bowling - Zorb Balls - Black lights & DJ lights - Glow Paint - Music - Food for purchase & more! Walk-ins welcome, parents are FREE! Would you like this item shipped or would you prefer to pick it up at the location (will call)?